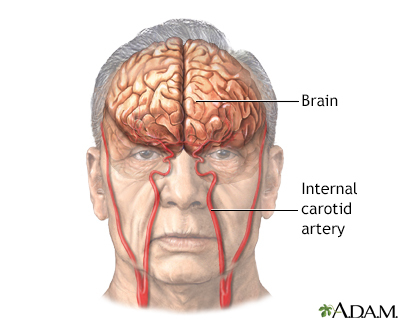 Much of the brain is supplied blood by the internal carotid arteries. 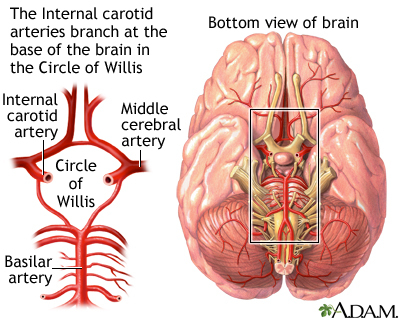 The internal carotid arteries branch at the base of the brain in an area called the circle of Willis. 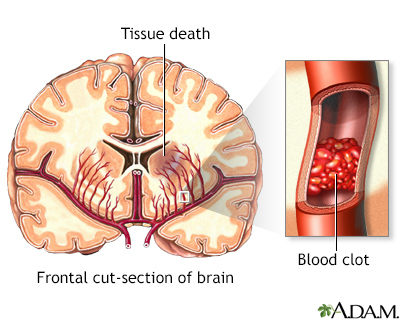 A blood clot (thrombus) may form in the body, break-off, and travel to the brain through a carotid artery and the circle of Willis. 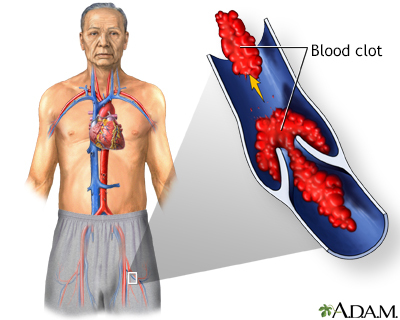 The blood clot may block the passage of blood through a brain artery, depriving nearby tissue of oxygen and nutrients. The result is a stroke.